Chapter 90A - Sanitarians and Water and Wastewater Treatment Facility Operators. §§ 90A-1 through 90A-19: Repealed by Session Laws 1981 (Regular Session, 1982), c. 1274, s. 1. Article 2 - Certification of Water Treatment Facility Operators. § 90A-21. Water Treatment Facility Operators Board of Certification. § 90A-22. Classification of water treatment facilities; notification of users. § 90A-23. Grades of certificates. § 90A-24. Operator qualifications and examination. § 90A-25. Issuance of certificates. § 90A-25.1. Renewal of certificate. § 90A-26. Revocation or suspension of certificate. § 90A-28. Promotion of training and other powers. § 90A-29. Certified operators required. § 90A-30. Penalties; remedies; contested cases. § 90A-31. Commercial water treatment operation firms. § 90A-32. Certification of distribution operators. § 90A-33: Reserved for future codification purposes. § 90A-34: Reserved for future codification purposes. Article 3 - Certification of Water Pollution Control System Operators and Animal Waste Management System Operators. § 90A-36. Repealed by Session Laws 1973, c. 1262, s. 44. § 90A-37. Classification of water pollution control systems. § 90A-38. Grades of certificates. § 90A-39. Operator qualifications and examination. § 90A-40. Issuance of certificates. § 90A-41. Revocation of certificate. § 90A-43. Promotion of training and other powers. § 90A-44. Certified operators required. § 90A-45. Commercial water pollution control system operating firms. § 90A-46.1. Expiration and renewal of certificates; continuing education requirements. § 90A-47.2. Certified operator in charge required; qualifications for certification. § 90A-47.3. Qualifications for certification; training; examination. § 90A-47.4. Fees; certificate renewals. § 90A-47.5. Suspension; revocation of certificate. § 90A-48. Reserved for future codification purposes. § 90A-49. Reserved for future codification purposes. Article 4 - Registrations of Environmental Health Specialists. § 90A-50. State Board of Environmental Health Specialist Examiners. § 90A-52. Practice without certificate unlawful. § 90A-53. Qualifications and examination for registration as an environmental health specialist or environmental health specialist intern. § 90A-54: Repealed by Session Laws 2009-443, s. 5, effective August 7, 2009. § 90A-55.  State Board of Environmental Health Specialist Examiners; appointment and term of office. § 90A-56. Compensation of Board members; expenses; employees. § 90A-57. Election of officers; meetings; regulations. § 90A-58. Applicability of Chapter 93B. § 90A-59. Record of proceedings; register of applications; registry of registered environmental health specialists and environmental health specialist interns. § 90A-60: Repealed by Session Laws 2009-443, s. 10, effective August 7, 2009. § 90A-61: Repealed by Session Laws 2009-443, s. 10, effective August 7, 2009. § 90A-62. Certification and registration of environmental health specialists registered in other states. § 90A-63. Renewal of certificates. § 90A-64. Suspensions and revocations of certificates. § 90A-65. Representing oneself as a registered environmental health specialist or registered environmental health specialist intern. § 90A-66. Violations; penalty; injunction. § 90A-67. Code of Ethics. § 90A-68. Reserved for future codification purposes. § 90A-69. Reserved for future codification purposes. Article 5 - Certification of On Site Wastewater Contractors and Inspectors. § 90A-72. Certification required; applicability. § 90A-73. Creation and membership of the Board. § 90A-74. Powers and duties of the Board. § 90A-75. Expenses and fees. § 90A-76: Repealed by Session Laws 2010-31, s. 13.2(k), effective July 1, 2010. § 90A-80. Investigation of complaints.